Note: These are scriptures that I collected over time to pray before and during prayer walking a few years back. Our little band got in the habit of each having a sheet of them in hand as we drove to a location to pray. Then, as we rode along, we would pray these scriptures out loud and ask God’s hedge of protection around us and our family members as we did his business. Thus we were praying smart. We were deflecting any attack of the enemy before it was launched. 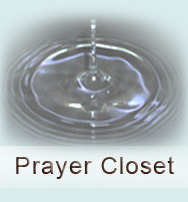 You may feel free to print this out and use it when you prayer walk also. Good day. Thank you for being one of my spiritual teachers that opened my eyes and mind spiritually.